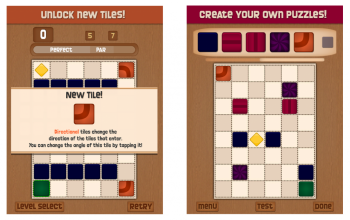 We recently released a new version of TacTiles on the Apple and Google stores! The main reason for the update was the unfortunate shutting down of the Parse servers. It happened to be a blessing in disguise though as now TacTiles operates with a stronger and more flexible back-end. We also unlocked the Puzzle Creator in the free version which allows players to play and share their own creations with Facebook friends. If you are yet to play you can download it here from the App Store and Google Play. Don’t forget to leave a review, we are always looking to improve our games!